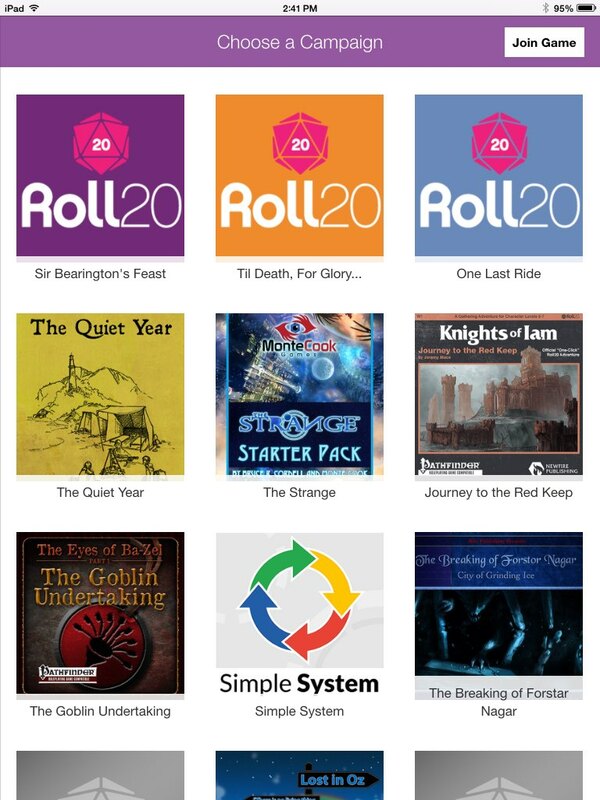 Roll20 for Android is compatible with Android tablets with Version 4.4 or later. 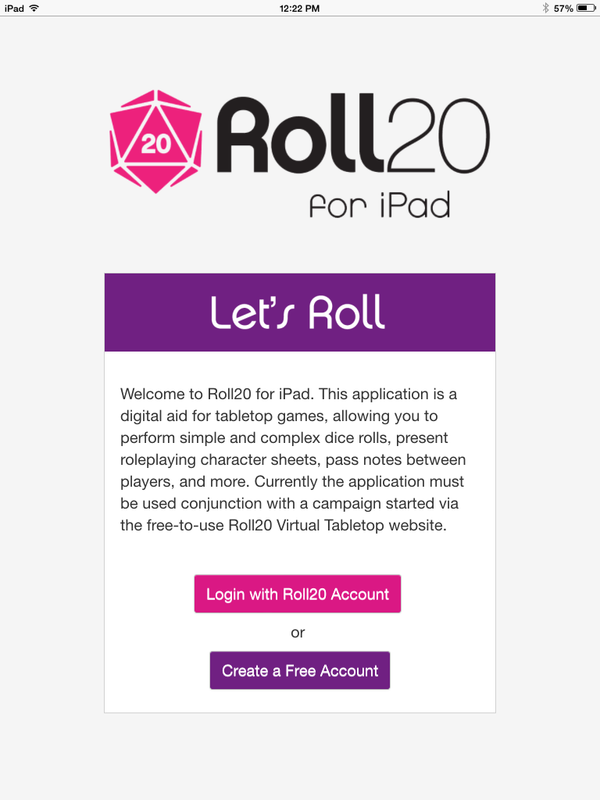 Roll20 for iPad is compatible with iOS 6.0 or later. 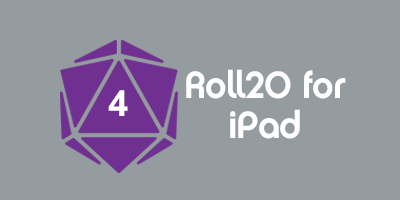 Roll20 for iPad and Roll20 for Android take advantage of the Roll20 Compendium, Journal entries, Text Chat, Dice Rolling (including 3D Dice), and Character Sheets. The Settings tab of Roll20 for Android and Roll20 for iPad allows you to "Change Game", and also toggle 3D Dice and Chat Avatars.